Have you heard of Shea Moisture's newest Fruit Fusion Coconut Water Collection? It's perfect for hair in need of intense hydration without being weighed down. 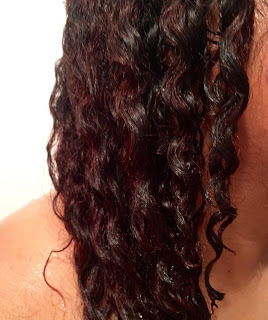 Keep reading to check out my review of the Weightless Hair Masque! 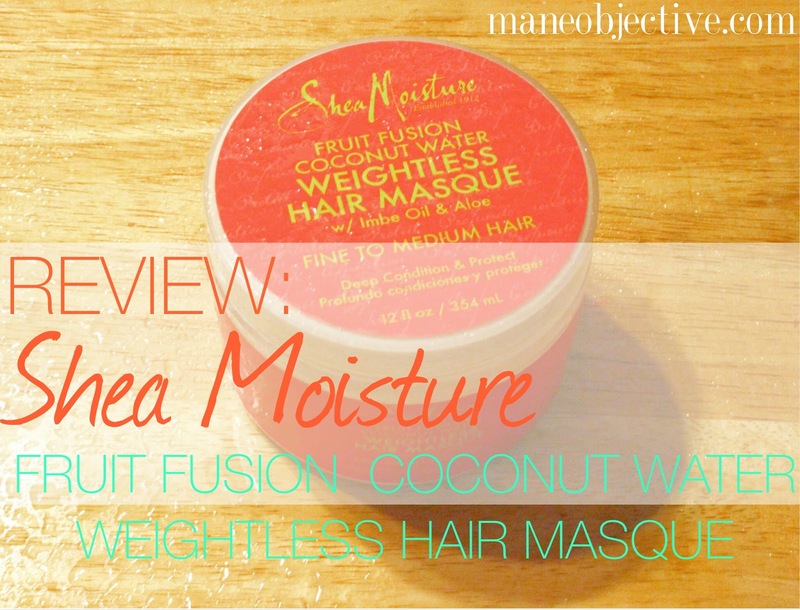 The Shea Moisture Fruit Fusion Coconut Water Weightless Hair Masque with Imbe Oil & Aloe is available exclusively at Ulta stores and Ulta.com, along with the entire Fruit Fusion Coconut Water collection. Coconut Fruit Juice: Also known as coconut water. Contains a wealth of vitamins, minerals, amino acids, and has anti-aging properties. It is believed to be extremely hydrating and nourishing to the hair. Capric/Caprylic Triglycerides: Fractionated coconut oil that is lightweight, nutrient rich, and fast absorbing. 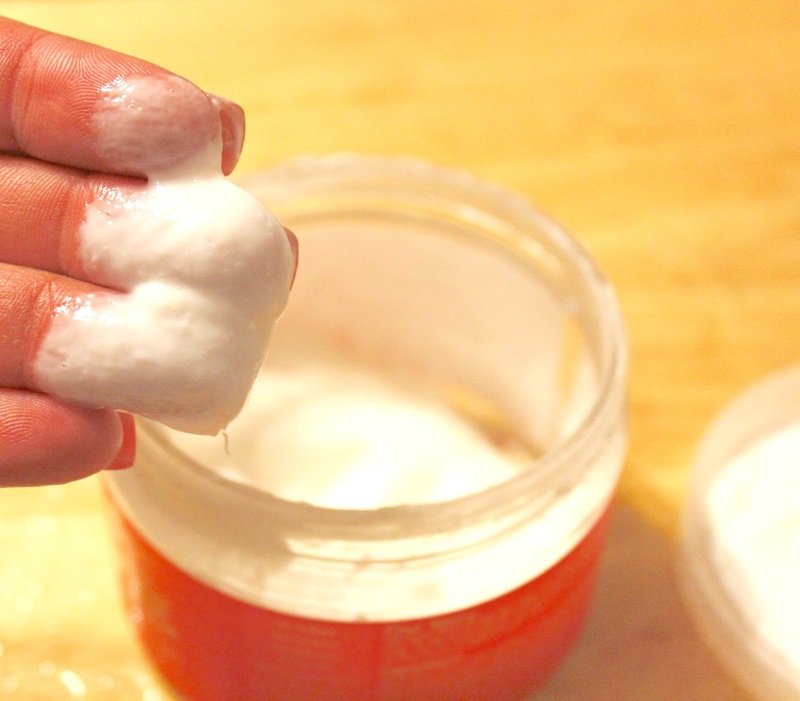 All the benefits of coconut oil without the heaviness. 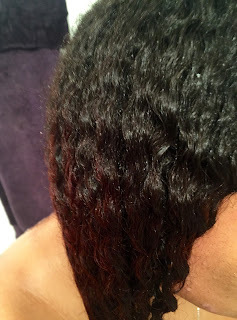 To be honest, I think Shea Moisture's strong suit is deep conditioners. I pretty much like them all, and many of them contain the same active ingredients. I was happy to see an ingredient switch-up with this Fruit Fusion Coconut Water Masque. Especially with the second ingredient being coconut water. With that being said, this masque was honestly amazing. It smells like sunshine, rainbows, and blessings. It's probably going to become my favorite Shea Moisture deep conditioner, because it outperforms my previous faves on so many levels. First, it glides on with ease. 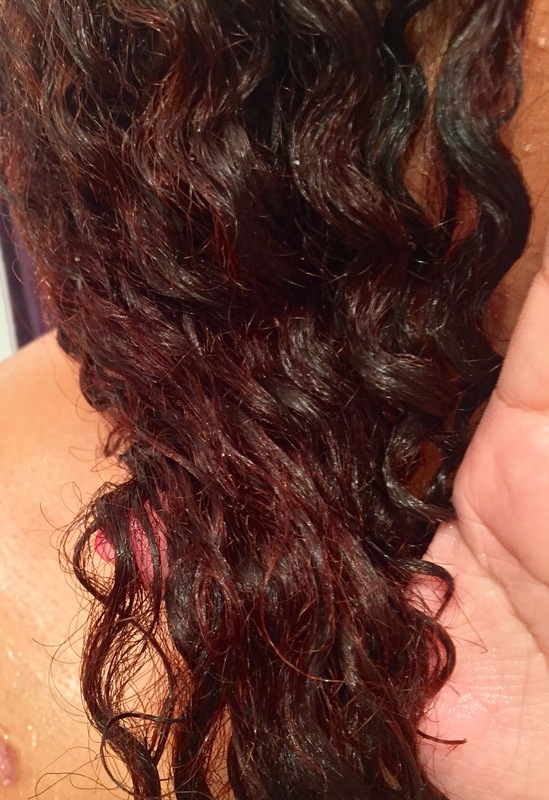 It's not super stiff and has great slip, which makes it ideal for finger and comb detangling. Secondly, it works fast. 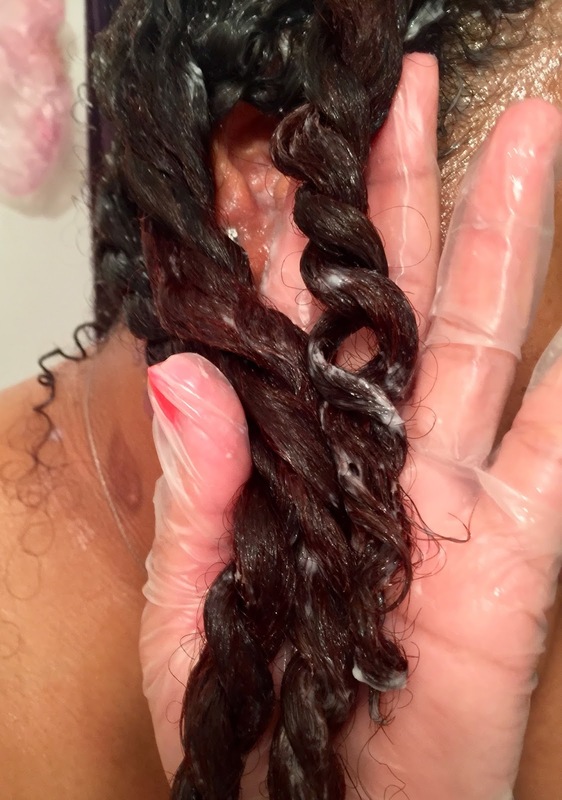 I'm not one to deep condition for hours on end, and I'm at a place in my natural hair journey where 80% of my wash day happens while I'm in the shower. I need my products to work, and fast because California is in a drought. 5-10 minutes with the Fruit Fusion Coconut Water Masque is all I need, and the end result is the same as a 30-45 minute deep conditioning session. Lastly, the results are quite amazing. This masque not only delivers the buttery smoothness that I love, but it gives my hair shine and provides excellent hydration. You know that feeling your hair has when you can tell it soaked up a bunch of goodness? That's what's going on here. I can't say anything really bad about this product, to be honest. My jar is about 75% used, and I haven't run into any issues or discovered anything I disliked. My one overall complaint about Shea Moisture is that it seems like the prices keep creeping up. I remember when products were $9.99. Then $10.99, and $11.99. Now we're at $12.99. Thank God for sales and coupons, though. This masque is all-around awesome and perfect for fine, medium, and even thick hair. I highly recommend it for anyone who's been dealing with super dry hair, has medium/high porosity strands, or has color treated tresses. I don't like the condensed version, I can't "hear" your complete personality. Maybe people just don't like to read anymore, but I do! I also prefer your longer, in depth reviews too! I prefer your longer posts too! Also, thanks for doing a review of this new hair masque from Shea Moisture..I didn't know about this one. I'm a huge fan of their products and will definitely have to try this one!